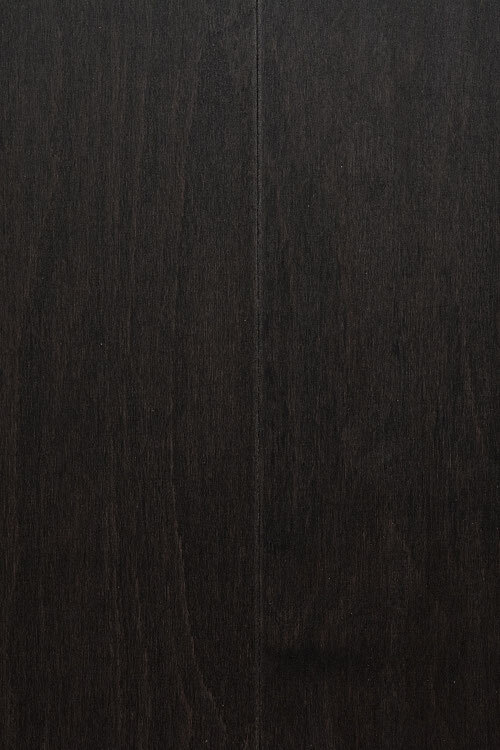 engineered hardwood flooring - "noir"
A top-quality engineered hardwood offering that possesses a memorable soft scraped surface that isn't easy to replicate. It is 1/2 by 5 inches in size. Its finish includes 10 aluminum oxide coats. This engineered hardwood flooring is ideal for maple wood enthusiasts. People who appreciate the strength and beauty of maple often gravitate to Noir. Noir makes a strong flooring option for residences. It also makes a solid flooring choice for businesses of all varieties. It has dark coloring that, from a distance, looks almost like black. Noir can be excellent for properties that want enhanced moods.